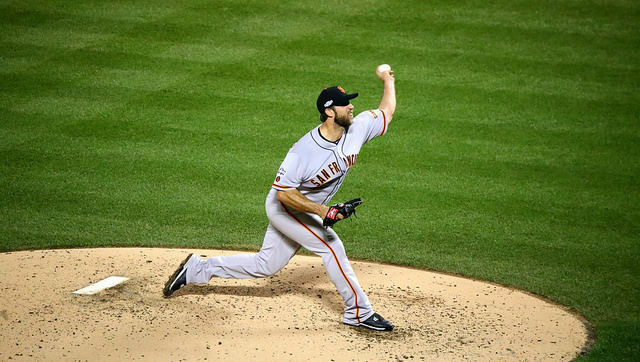 A good guide for Bumgarner might be Ryan Vogelsong, who fractured his fifth metacarpal when hit by a pitch in 2013. Happened May 20. He had pins inserted for multiple fractures. Was back on MLB mound Aug. 9. Bochy did not name Cueto the opening day starter. Said the staff has much to discuss. Samardzija likely to miss first three weeks to a month with his pec strain.